Work was created at ROKTOWA over a short time onsite in Kingston Jamaica's downtown, Rosetown community. This series was borne out of my 2013 Residency at ROKTOWA, a Contemporary Art Project that work with the environment and creative genius of Downtown Kingston, Jamaica, to create Fine and Applied Art. In this series I worked alongside local artists in the downtown community using local materials and personal stories to create a series of sculptures. The red earthen clay body was excavated from the downtown Rosetown community. 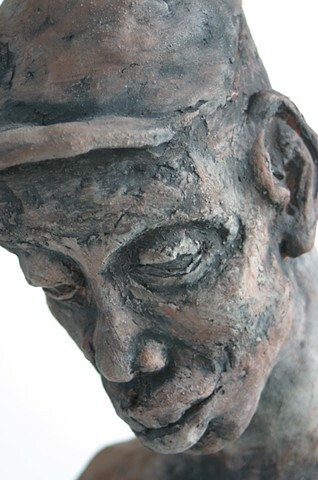 The sculptures themselves are a blend of "clean" and "unclean" clay. Each work was completed within a relatively short period of less than a week outside the protective studio setting in a communal outdoor space.